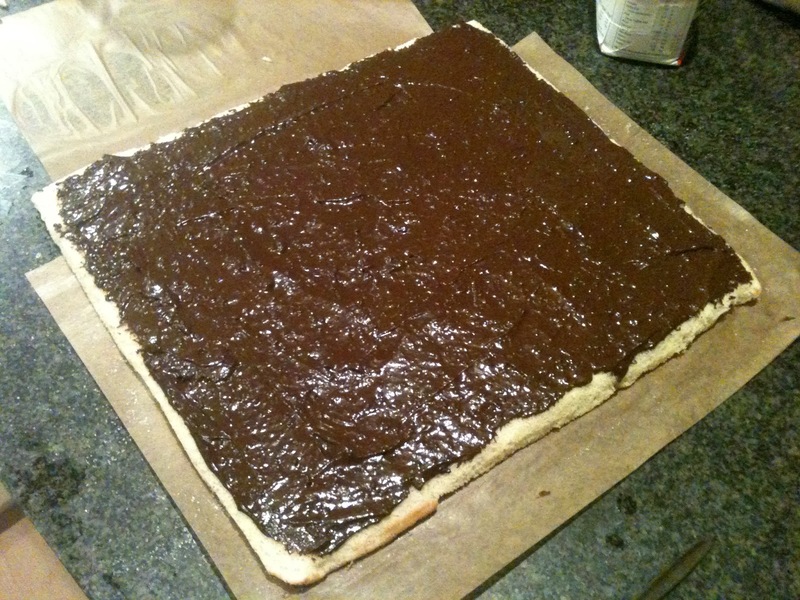 So rulltårta is basically a very thin sponge cake filled with either (whipped) cream and berries or with chocolate cream. 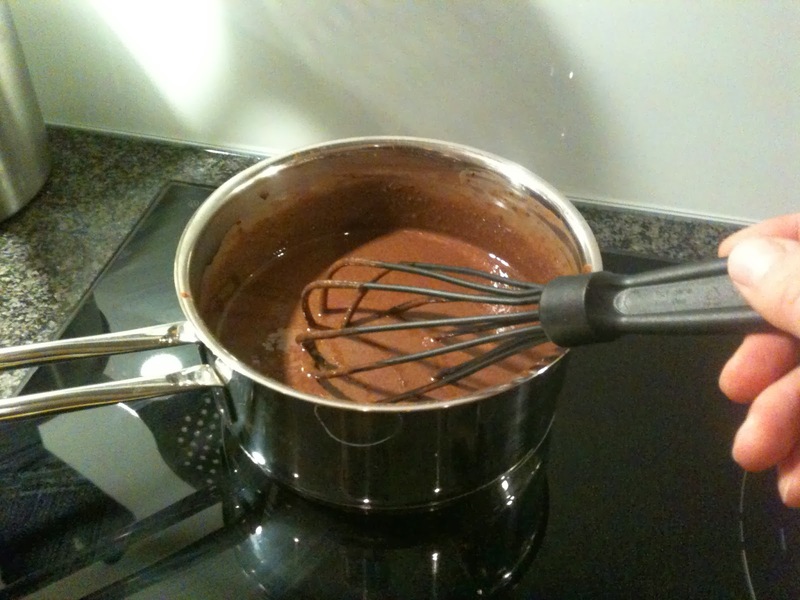 Here I went for chocolate cream. 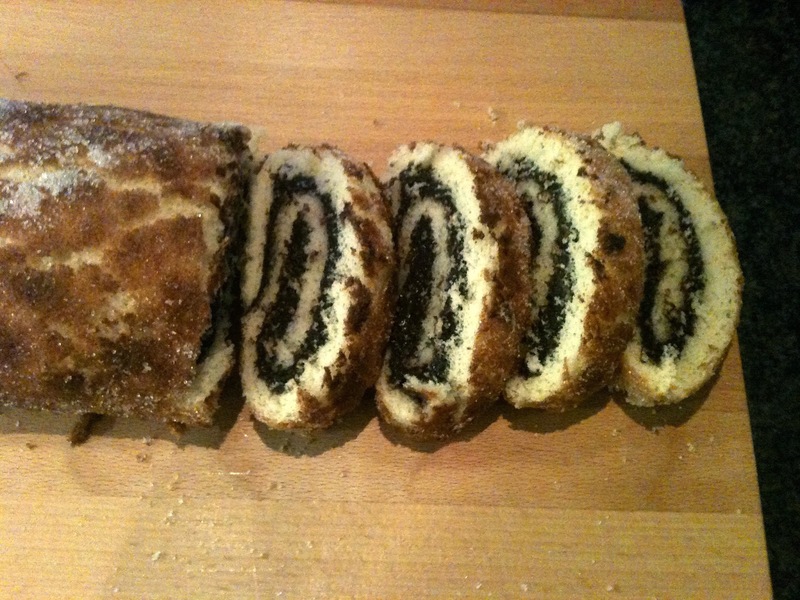 It was a totally new experiment and turned out to be a great dessert, for Christmas or any time of the year with coffee in the afternoon. Beat sugar and eggs until white. 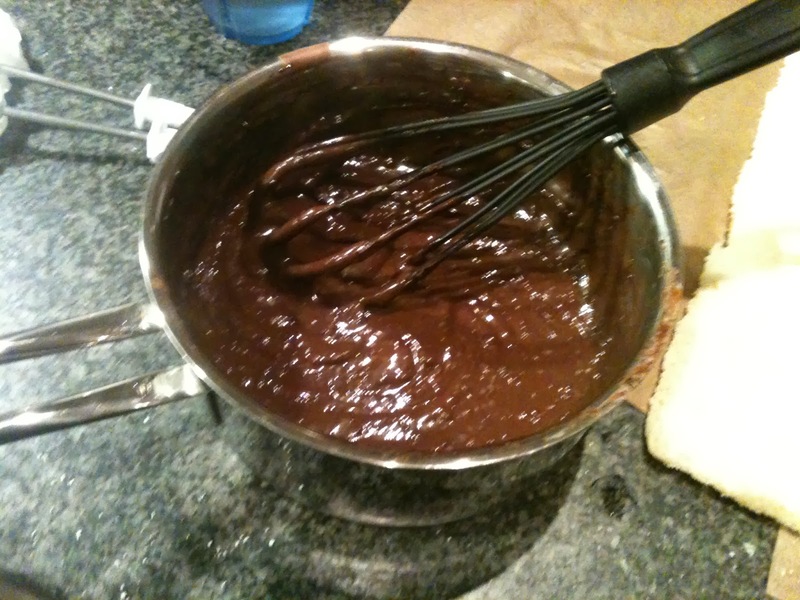 Mix flour and baking powder, then carefully add it to the batter and mix. Add milk last and mix gently. Pour the batter on a sheet pan covered with parchment paper (it's the flat pan that you have in your oven). 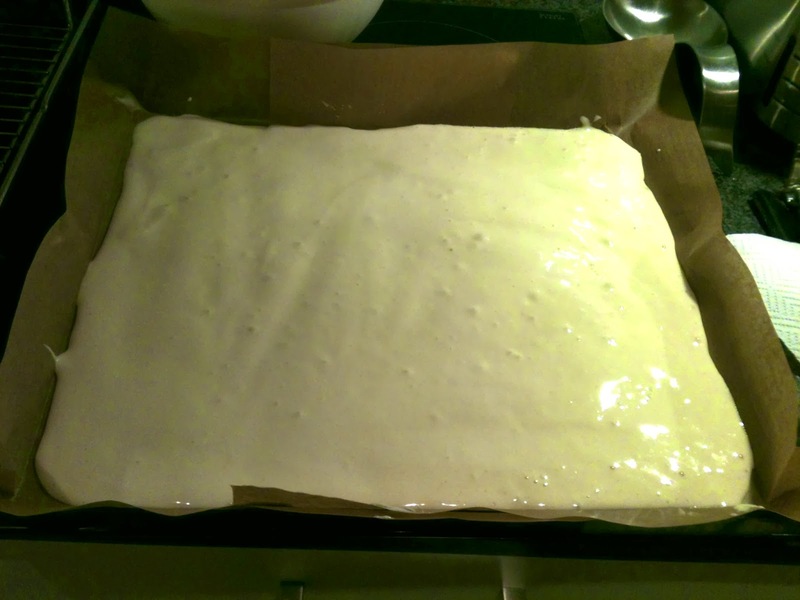 Bake 4.5-5 min at 250 C. Spread sugar on the cake and flip it upside down on parchment paper covered with sugar. 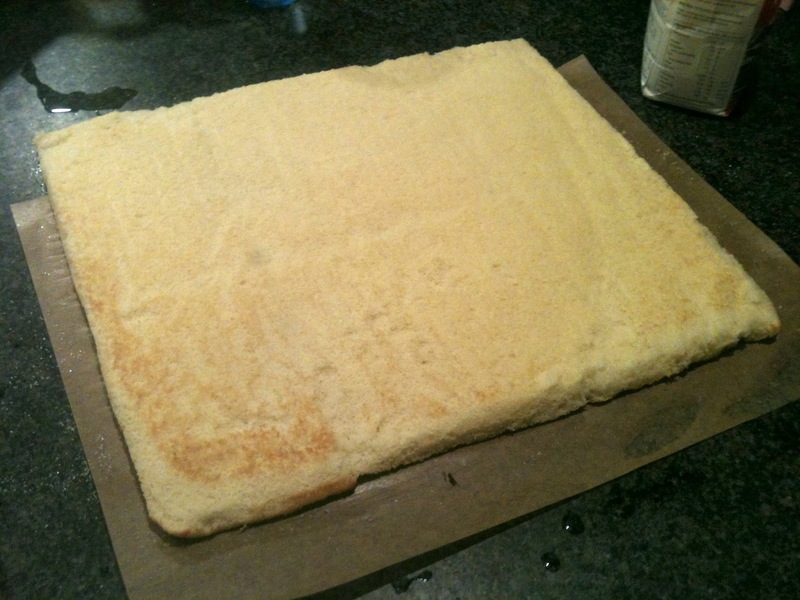 Detach the parchment paper very carefully so as not to break the cake: you can spread some water on the paper, it will help the cake detach from it. 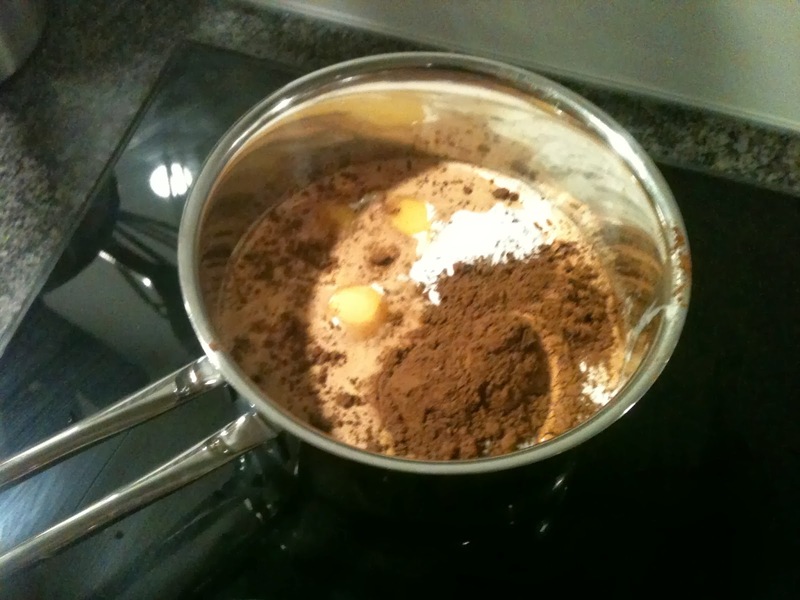 In a saucepan, mix all ingredients (minus the butter) and warm up while whisking until the sauce thickens into a cream. Add butter and beat up the cream. 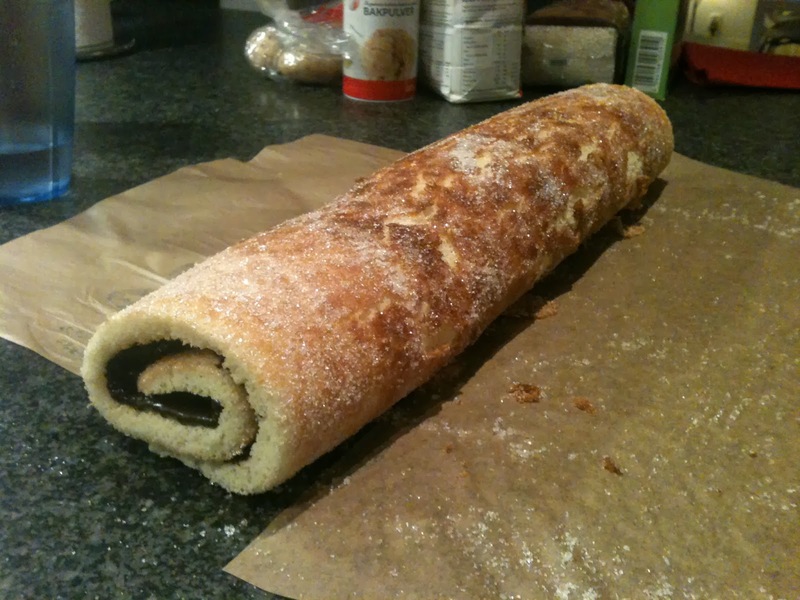 Spread the chocolate cream on the cooled cake and roll the cake up on the long side. 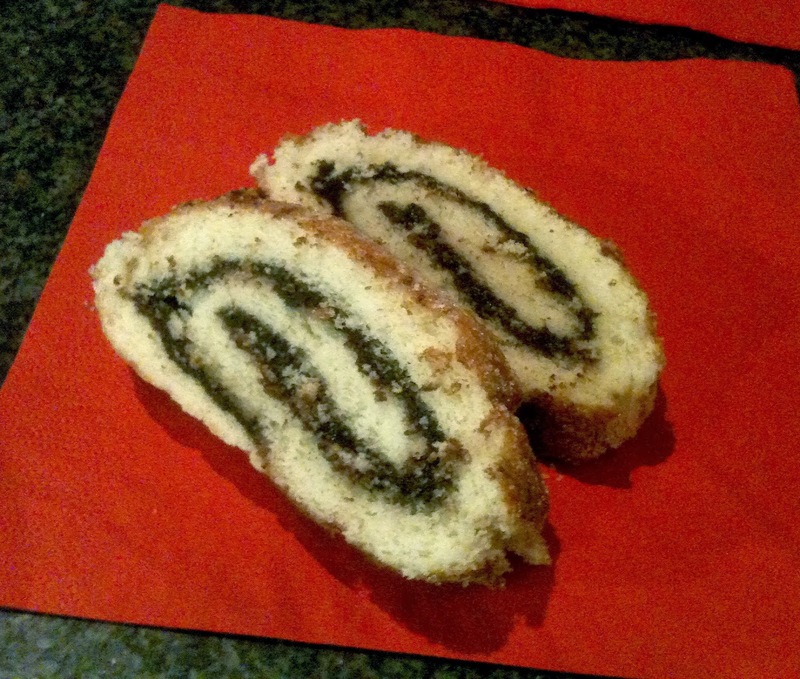 Cut 2-3cm thick slices and enjoy the cake with coffee or as dessert!